I’m all about spontaneous fun…sometimes. Ten long weeks of summer leave much opportunity for boredom, which is why I try to create organized fun for most of the summer. There’s a ton of resources out there with information on traditional camps, if that’s the organized fun your family likes. While I send my girls to a few camps each summer, I still like to find other activities for them to participate in or places I can take them where we all can have fun. Town Recreation Departments: Even in the littlest of towns, the Rec department is cookin’ up summer fun for your little ones. While most programs are open to residents only, I was able to find a few with a non-resident option. Abington Pool – As described in my last post, this was my go-to place for the past 2 summers. We’re moving on this year, but I still recommend this to anyone looking for a local, affordable pool. Swim Lessons – Take place at the Abington Pool and there are several sessions throughout the summer. Art , basketball, fitness camps and more – Open to non-residents for a slightly higher rate. Town Pool – The Manning Pool is a mini waterpark that opens daily at 1pm! Interested in meeting this Signature Mom in person? 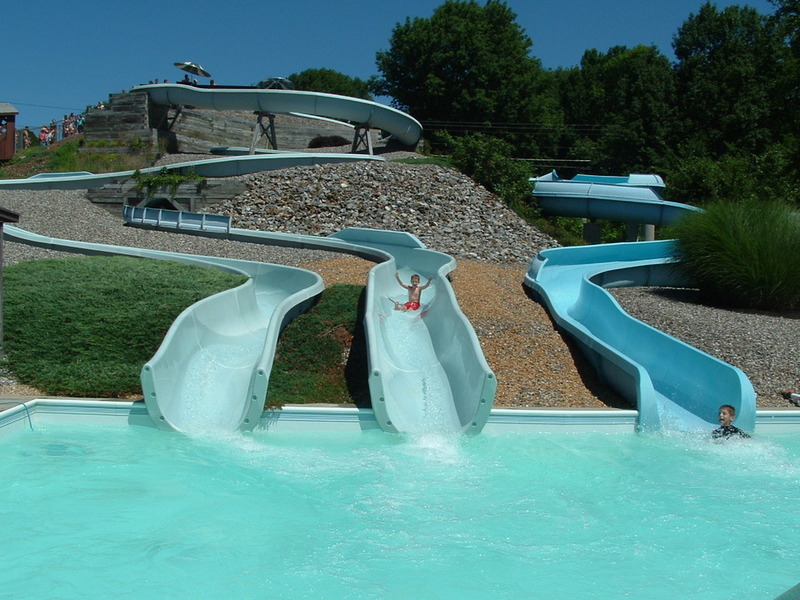 Just look for the uber-relaxed mom with 3 girls screaming down the waterslide on any given day this summer. Swimming, Basketball, Gymnastics, etc. – The Brockton summer program called Brockton Community Schools has been around since 1970. I participated in the Get Ready program myself as a young girl. It is still around today with a ton of affordable offerings for non-residents! Register online and get $10 off any program!! I am considering sending my 7 year old to the basketball program. Very affordable! Town Pool – Open 6 days a week starting at noon. Swimming Lessons – Several sessions throughout the summer. Park Program – Weekly sessions all summer long. Looks very affordable at $15 per child per day. Private Programs: These types of programs can be a little costly, and may result in a day trip, but I think they are great options to do once or twice this summer. One Stop Fun – Although a true day trip, since it’s located in Westford, MA, this place has been on my “must do” list for a few summers. To make sure it actually happens this year, I penciled it onto my calendar for one day in July, hoping we’d actually follow through with the plan and get there. The facility has a pool membership option and a day visit option. Adults are always free (yippe) and kids can swim for the entire day in their pool filled with water slides and tons of other fun things for $15 each. Breezy Picnic & Waterslides – Another day trip, but totally worth it. This place has a bunch of waterslides built into the side of a hill that empty into a pool. Lake swimming is also available. Rates are based on ages and range from $8-$15 for the day. I’m sure you see a common theme over the past two posts about my ideas for summer fun. WATER! Our family is all about water fun during the summer! I do laundry daily but in the summer, my laundry consists of wet towels and bathing suits more than any other article of clothing. We go through several bottles of sunblock and I buy more bags of grapes and other small fruit for snacking at the beach, pool, waterpark, in the summer than I do all year. We love the water! So now that I found these places for you, I need your help! Do YOU know of any places in MA where my kids can have organized fun? While I prefer it to be water-related, I’m OK if we spend a day or 2 in clothing that stays dry. I guess…. I’ve heard the best thing to do for cranky babies or kids is put them in water so I think you should have a happy and joyful summer! Just to plug another community a little further south, the Town of Norton (www.nortonparksandrec.com) has several options as well from the local pool (I think a family membership for the summer is about $50) to recreation classes in tennis and golf for older kids to links to the local kayak school, yoga, martial arts and dance classes! They are also on facebook. Great post! I’m always looking for things to do with the kids, I may just have to check out a few of these! Thanks! Another place we go to at least once a summer is Davis Farmland. It’s in Sterling, so a bit of a drive (and a bit of a treacherous return if on a Friday) but the kids love it there. It’s great for littler kids. They have a “farm” with lots of animals you can pet and feed and then there’s a great splash pad. The facilities are really nice and clean, and they have changing areas so you don’t have to change them in the car or drive home soaked. It’s a bit costly but my kids love it there so to me it’s worth it once a summer. Also, Capron Park Zoo in Attleboro has a new splash pad (I think last summer was the first year?). Again, great for the little crowd. My kids loved it, and it’s not overly expensive (especially if you have a Zoo New England Membership-you get a discount). What I find so inetertsnig is you could never find this anywhere else.